American Airlines plans to further reduce its nonstop Auckland-Los Angeles operation with a longer period where the seasonal service will be suspended in 2018. The airline said on Monday its services to Auckland, which were launched in June 2016, would operate on a seasonal schedule between October and March. “We have taken a look at our Auckland/Los Angeles route and determined that next year, we will move to seasonal service from October to March, which is the peak winter travel season from the US,” American Airlines Australia and New Zealand general manager Simon Dodd said in a statement to Australian Aviation. Dodd said the airline would shortly contact affected passengers with alternative flights. In April, the oneworld alliance member said it would switch its Auckland flights from year-round to seasonal and announced it would suspend the service for an eight-week period from August 5 2017. The flights are scheduled to return on October 4 2017 and schedule updates filed with global distribution systems, which were reported by the AirlineRoute website, showed the flights would operate for about six months before it was again suspended in March. The move represents another example of the winding back of American’s presence in this part of the world following the US Department of Transportation’s rejection of the proposed revenue-sharing joint-venture with Qantas in late 2016. 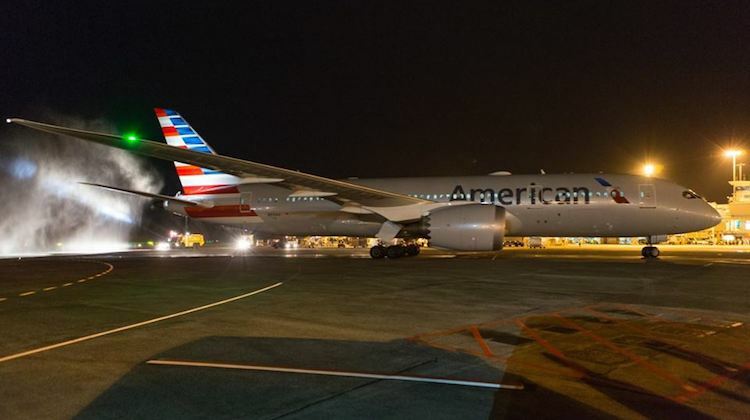 In May, American said it would downgauge its daily Sydney-Los Angeles service from the Boeing 777-300ER to the 787-9 from November, representing a reduction of about 25 seats a day. There was also reduced cooperation with Qantas. In February, the Australian carrier removed its QF airline code on American’s Sydney-Los Angeles service, arguing the move was part of efforts to “scale back areas of cooperation that aren’t viable without immunity”. There were also tweaks to frequent flyer arrangements that came into effect on May 1, with Qantas cutting points and status credits earning rates on some American coded and operated services. Qantas has maintained its QF airline code on American’s Auckland-Los Angeles service and on US domestic services. The pair planned to plan to submit a new application to the United States Department of Transportation (DOT) for an expanded alliance on trans-Pacific routes, hoping a new administration at the DOT following the change of US president in January would come to a different decision. Qantas international chief executive Gareth Evans said recently the two oneworld alliance members were still very keen to forge a closer working relationship. “We do want to deepen that relationship in the way that we have talked about so we will be refiling the application in the next few months,” Evans told journalists on the sidelines of the International Air Transport Association (IATA) annual general meeting in Cancun, Mexico in early June. “We’ve had many conversations with the Department of Transport in Washington, both ourselves and American through this process so they are fully briefed. Qantas and American have worked closely together on the trans-Pacific market, albeit without anti-trust immunity (ATI). The pair started codesharing on each other’s flights in 1989 and helped establish the oneworld alliance as founding members. Air New Zealand chief executive Christopher Luxon said during the airline’s investor day in May the outlook for the trans-Pacific market was better after an influx of capacity from everyone in recent times. “The encouraging thing is that we’re starting to see an environment where those competitors are settling into the market here,” Luxon said. Is the Winter reduction due to reduced demand, or the planes are better utilised elsewhere in the American network? That important fact wasn’t mentioned . It is my understanding that American originally said that the aircraft would be required for other routes during the northern summer period, however I believe that they have changed their stance on this and stated outright that the demand for their LAX-AKL service was not high enough during the northern summer period to justify the route’s operation. It should also be noted that United has also suspended their SFO-AKL service. Still keen to see American reach Melbourne. Pérhsps American can’t compete with air nz who seam to have high loads during the northern summer. The only chance American will have of profitability in Melbourne is if Qantas axes one of their frequencies between MEL and LAX. Obviously ANZ is a formidable foe….on cost, service and product!!!! !